Japan has a rich and varied kogei (craft) tradition stretching back hundreds if not thousands of years. Part of the appeal and power of Japanese kogei is tied in with the process of its creation. Professor Rousmaniere and Mr. Murose will talk about Japan’s kogei (craft) potential and the creative process. 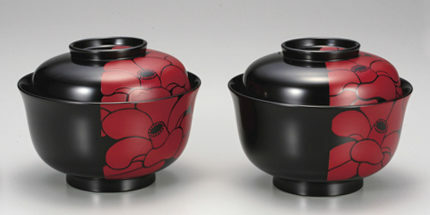 Murose Kazumi is an urushi (lacquerware) artist. Born in Tokyo in 1950. M.A. from the Tokyo University of the Arts, specializing in urushi arts. Designated as a holder of an important intangible cultural heritage for maki-e technique and presented with the Purple Ribbon Medal in 2008. Currently vice chairperson of the Japan Art Crafts Association. Apart from his creative works, he devotes his time in Japan as well as abroad for restoration of cultural assets. He also travels abroad for exhibitions and lectures to advocate the beauty of urushi and Japan.